Kellie Henderson has been a full time Real Estate agent with Lake Guntersville Real Estate since 2001. She loves real estate and says, "One never stops learning in this business. New situations arise in every transaction, and I love a challenge." Kellie is extremely familiar and knowledgeable of the area as she was raised in Guntersville, Alabama and attended Guntersville City Schools. Kellie has received the GRI and ASP designations, and is currently a member of the National Association of Realtors, the Alabama Association of Realtors, and The Marshall County Association of Realtors. Kellie strives to make each transaction as smooth as possible for her clients whether buying or selling property. Kellie is married to Jon Henderson and they have 3 children Logan, Noah & Lexi. Jon and Kellie are also the pastors of Compassion City Church located in Albertville, Al. 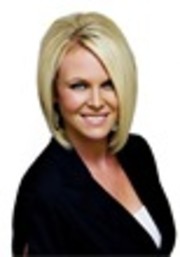 Kellie loves what she does and is ready to serve you with any of your Real Estate needs.